One of the rules I try to live by is “practice what you preach”. If I tell someone to act in a specific way, I should be able to lead by example. If I tell someone to go play game X, I should have played said game myself. In most cases, I can hold up this rule, but today, dear readers, I am breaking a habit. 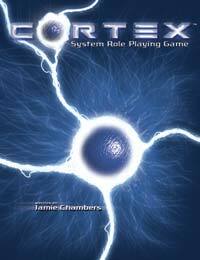 I will tell you how damn awesome the Cortex (Plus) rules are, while not having used them myself. That’s right, once I’m done showering in shame in the corner, you can click past the cut and read more about why you should give the Smallville, Leverage or Marvel RPG powered by Cortex a spin.